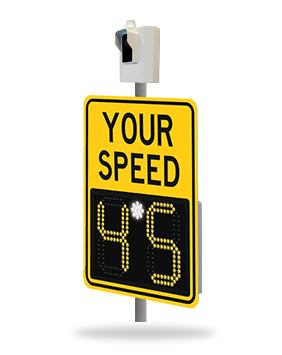 SafePace radar speed signs are designed to slow cars down, to make streets safer for everyone. 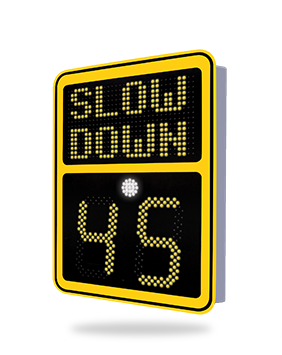 Speed Display Signs have been proven to be effective, particularly with today’s highly visual, often distracted drivers. Whether you want to gather data and imagery on speed violators or use cameras to help enforce speed limits, our solutions are here to help you capture the images you need for safer roads. Images can be used to warn drivers or enforce speed limits. Installed on over 10,000 streets worldwide. Municipalities all through the world face similar difficulties on their roads. How might you keep traffic moving at a more secure place to ensure drivers and pedestrians? Cars entering & driving on army installations need to keep up safe speed to ensure students, troopers, and their families. Find out about arrangements that can help guarantee your base is sheltered from speeding vehicles. Residents need the roads in their networks to be safe for themselves and their families. Figure out how you can recover security for your neighborhood roads. In mechanical conditions and on corporate grounds, moderate paces are pivotal for the work environment and pedestrian security. Figure out how to moderate vehicles when each MPH counts. Each city and town needs to understudies to probably get to and from school securely every day. Slowing traffic in and around schools is critical to secure kids. Work zones are ordinarily set apart by traffic cones, signs, banners and such. In any case, drivers frequently overlook these gadgets and keep up their rates. How might you make drivers aware of roadway and speed limit changes. Your police force can’t be wherever without a moment’s delay. We have the arrangements you require at aggressive costs to enable you to implement speed limits with nonstop enforcement. Over ten years ago, Traffic Logix was started to create cost-effective safety solutions to prevent accidental case on roads. Our first products were recycled rubber speed humps & bumps, It is sustainable solutions that slow cars & protect pedestrians & bicyclists. We’ve since grown to include an in-house team of ITS engineers that redesigns & tweaks our market leading Radar Speed Signs and Speed Display Signs & intuitive cloud-based software. Our headquarters is in New York & offices in Canada, Mexico, & India, our ITS solutions have been installed in multiple locations around the world than any of our competitors. Our customers include municipalities, corporations, gated communities, hospitals, police departments, military bases and universities. We’ve spared incalculable lives en-route and made important associations with several urban communities looking toward a more brilliant, more secure future. Our objective is to keep delivering more innovative products ITS solutions as we work with our customers to bring our vision of safer streets for everyone.